Junior King’s encourages healthy eating and provides an extremely diverse and nutritional school menu to suit all tastes. The menus at Junior King’s are designed around our pupils’ requirements through school Catering Committee meetings and classroom PSHE lessons. This provides useful information to the school catering team and also gives the pupils a good idea of nutritional values and what they need to eat to attain a healthy and balanced diet. The Catering department works closely with local suppliers to source quality fresh produce and is also then able to obtain seasonal foods when they are at their best. 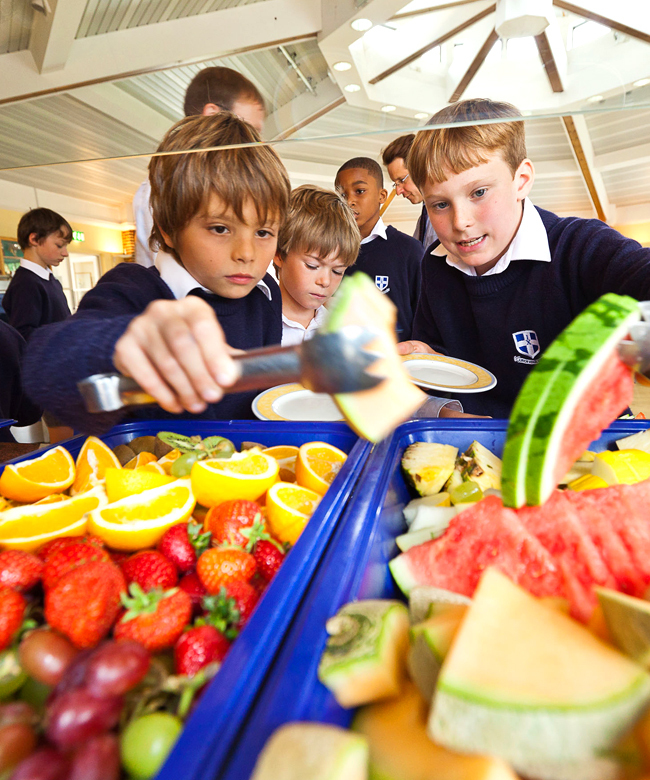 All school meals are included as part of the termly fees.